To print your own clip stick, check out the plans on Thingiverse. Below, you’ll find the story and inspiration behind Rodrigo creating the clip stick (see iterations along the way) and what led him to share his design for free. 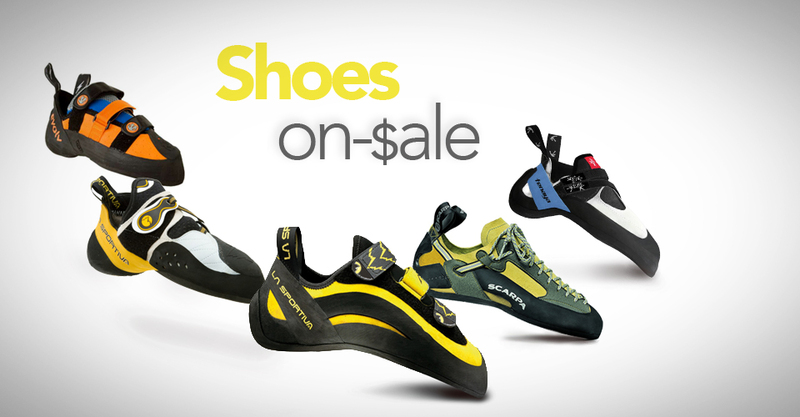 Hi my name is Rodrigo I’ve been climbing for the last 9 years. I am a mechanical engineer who loves to improve my gear, whether it’s climbing or biking. This is what led me to become the creator of the open source compact clip stick. or the chalk bag I made out of some old clothing I had laying around. So once I started dedicating myself more frequently to sport climbing, coming up with a alternative low cost solution for the clip stick was pretty natural. 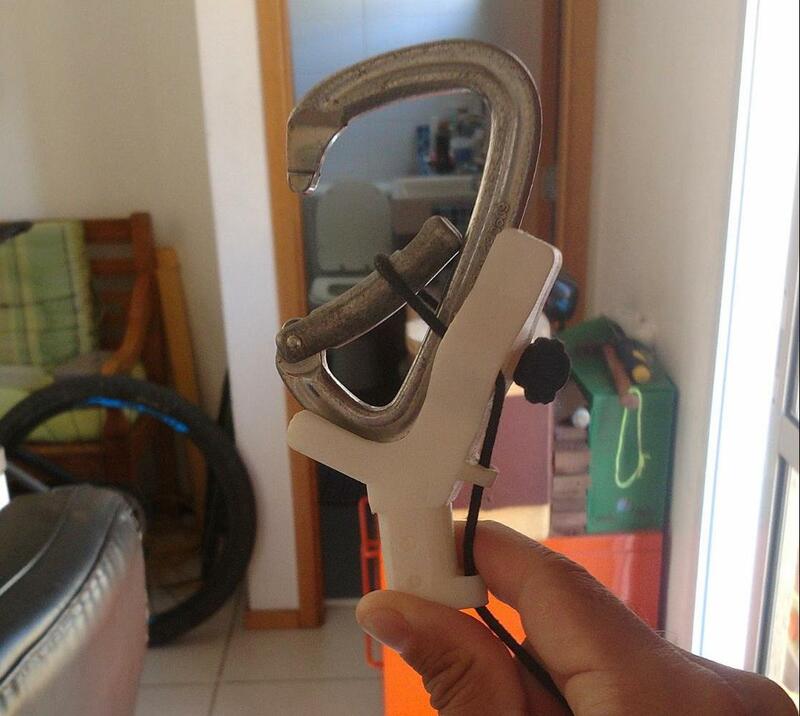 Most people in Brazil will just tape a carabiner around a branch and use a stick to hold it open boogy trap style. And it worked for years! That sucked….and I knew I had to keep iterating. Finally last year I moved to Canada with my wife and bought a 3D printer for myself! Now I could make more versions of the clip stick! During this last re-design process I realized that if I could attach it to my trekking poles I would have a reasonably long pole. It would also remove the need for the extra bulk of a separate clip stick pole. Most trekking poles can get to about 1.5m and if you combine two trekking poles together, it reaches 3m, which is enough to clip most first bolts. Since I already had a pair of trekking poles hanging around, I made an adapter to attach them together creating a clip stick pole (this adapter is also available to be 3D printed). With the adapter you can use the trekking poles normally to get to the crag and then combine them together to reach and clip the first bolt. Since it is really common to open source your designs in the 3D printing community it just felt natural to just release the design on the internet for anyone who wants to print it. For now, the design is there for anyone who wants to print it. And I hope this clip stick will help save some unnecessary falls! Once printed, add wire (I used a bike spoke) and bend it so it will hold the carabiner gate open. Also attach some velcro strips so it can fit against a trekking pole or a branch. If you’d like video instructions, let us know in the comments. Born in Rio de Janeiro, Rodrigo is defined by his passion for adventure, sports, and engineering. You can see more of his designs on Thingiverse.com/mottabadass.